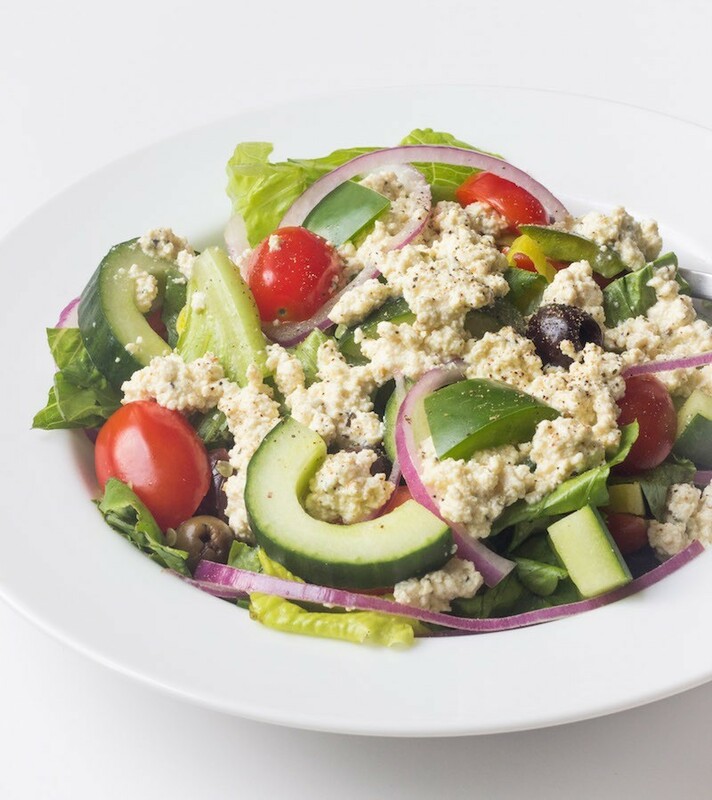 This Greek salad features a simple vegan “feta” that’s made with tofu. Because the tofu marinates in lots of delicious herbs and seasonings, it acquires a bold, salty flavor that’s perfect in this classic recipe. This salad makes a great light dinner, with the calcium, protein and iron-rich tofu. For an additional boost, add a 15-ounce can of rinsed, drained chickpeas. Or, serve with toasted pita and store-bought hummus. Love this version of vegan “feta” for a Greek salad! It kept in my fridge all week and got better each day. Thanks for the recipe, Sara!